This 'One-of-a-Kind' hand painted lighthouse lamp captures the spirit of the sea. It shows beauty in detail, texture and color. 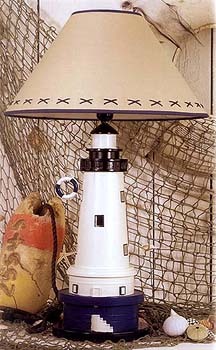 It is a treasure trove of unique gift, a must own for the lighthouse lover.